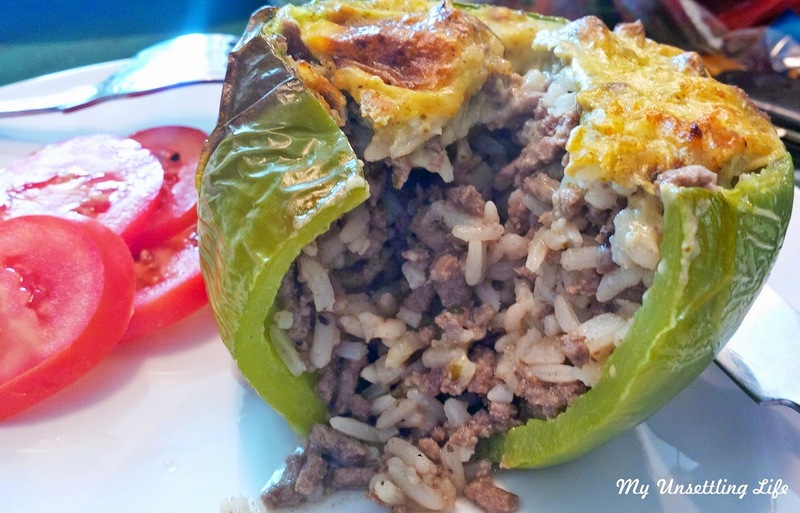 This was a creation of mine in an attempt to do a slightly healthy stuffed peppers recipe. 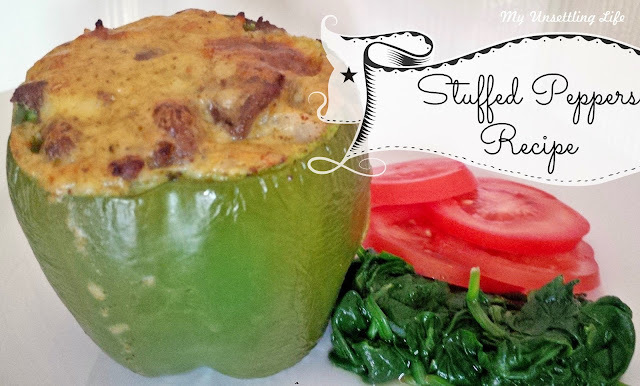 This can be made with any kinds of peppers - it is completely your choice. In a pan, add a drizzle of olive oil, the garlic, onion, mixed herbs and salt and black pepper. 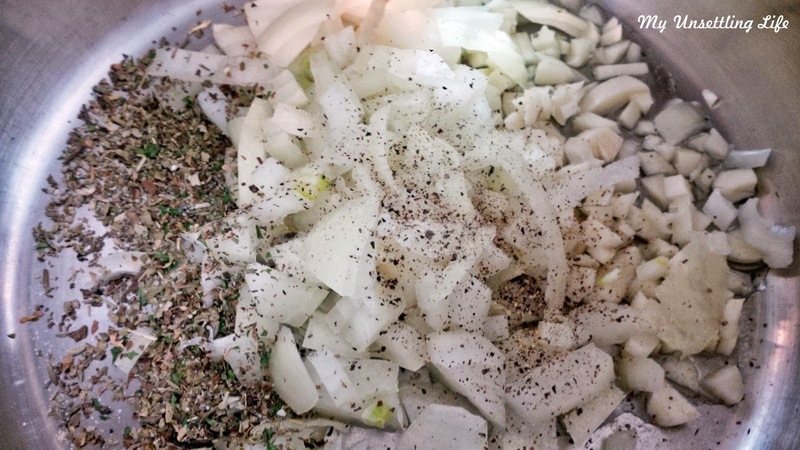 Let it fry up until the herbs start giving off smell. 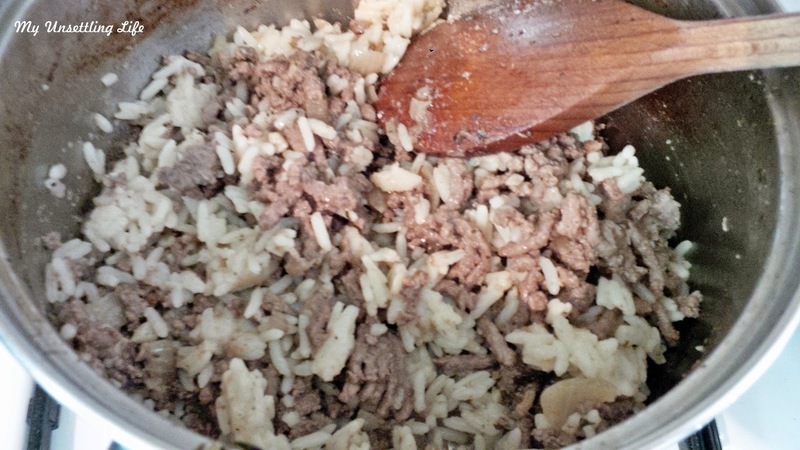 Add the mince and cook it until it is fully browned. Add the cooked rice to the meat and mix it well. 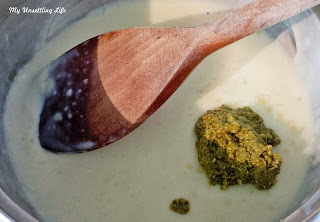 In another pan, melt the butter, add the flour and let it come together while mixing, add a bit of milk and keep mixing. 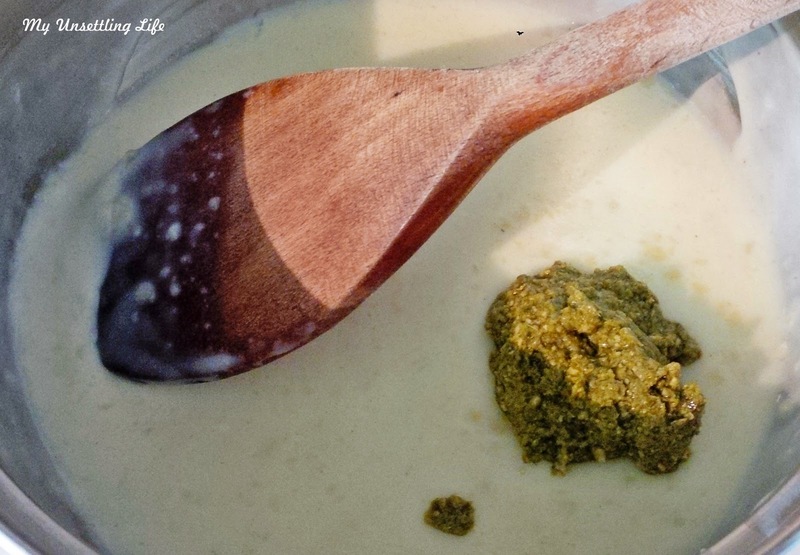 This is a bechamel sauce, so keep adding milk until it gets to the texture you prefer. Once it has reached the consistency add the pesto and mix it until well blended. Oil a baking tray where you will put the peppers. 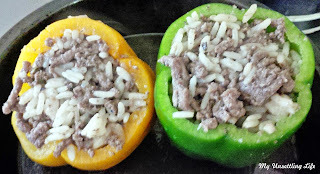 Cut the top part of the peppers, and take the seeds out, leaving it clean and empty. Stuff the peppers with your meat and rice mix, top them with the pesto bechamel sauce and put them in the baking tray. Put it in the oven and let it cook for 20 minutes. 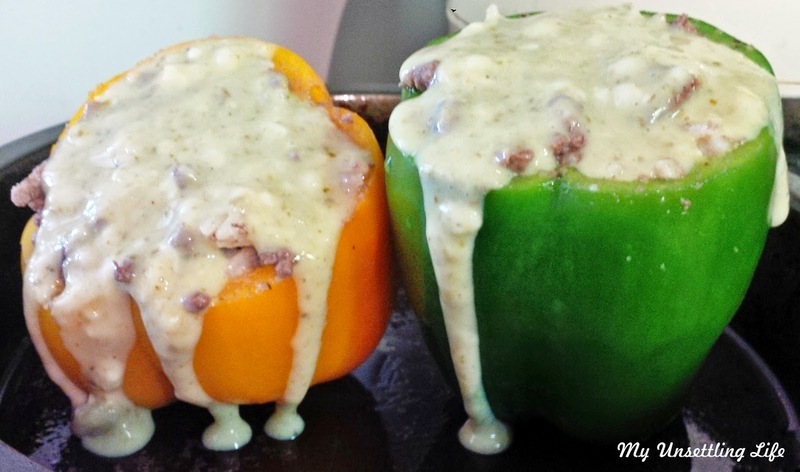 The peppers should be cooked through and the sauce golden, almost like melted cheese. 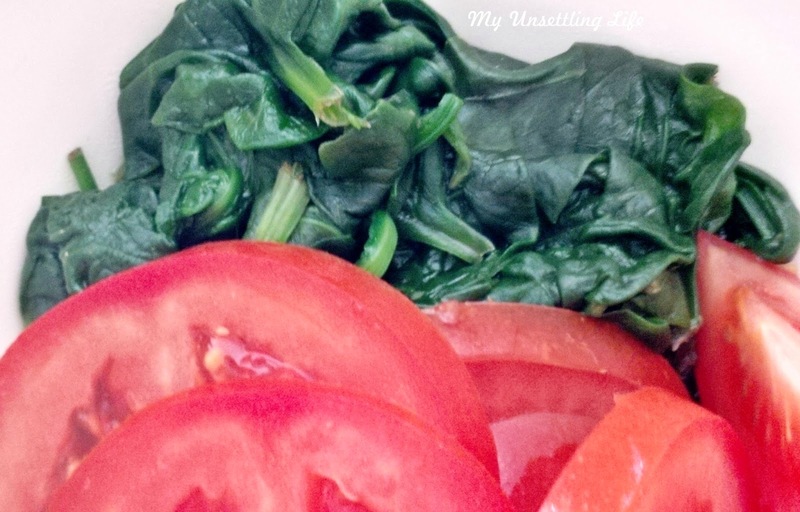 I served with boiled spinach and sliced tomato.